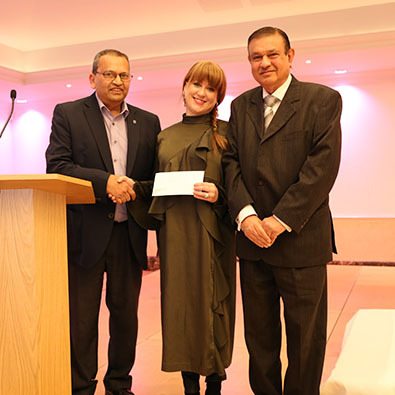 Our supporters helped to raise a grand total of £1034 at the Gourmet Dinner this November. The funds raised will help us to continue offering our custom disability equipment design service, which helps people maintain independence and enjoy life-enriching activities when there are no products on the market to suit their needs. 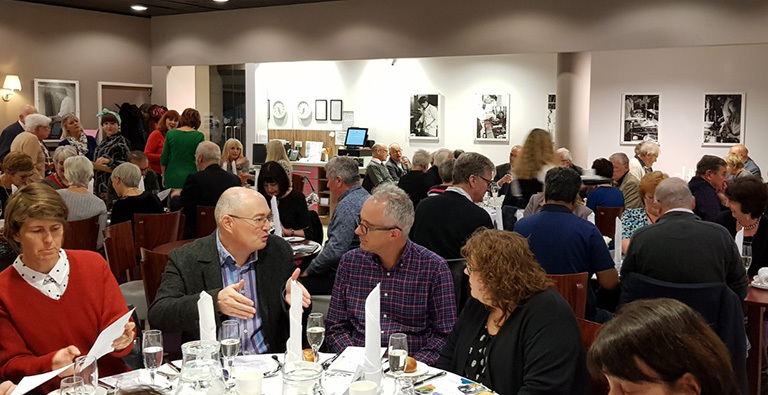 Guests at the dinner, held at The Restaurant, West Herts College, were treated to a hearty 3 course meal courtesy of the chefs-in-training in the Food Academy Programme. The courses were accompanied by three paired wines and the night was rounded off with a raffle and auction lots. 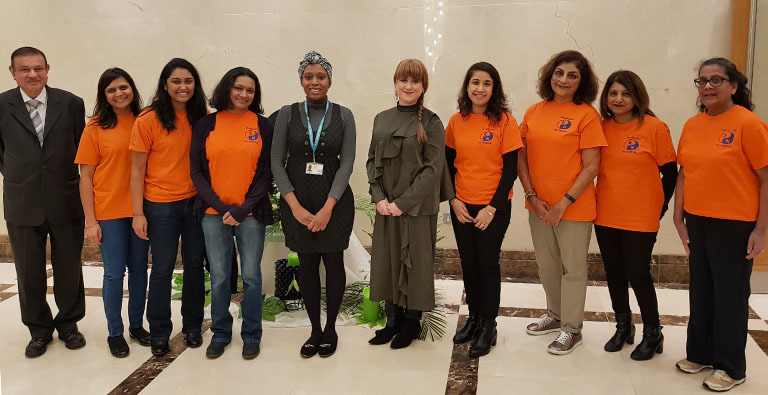 To hear about upcoming fundraising events like this one, sign up to receive our newsletter or see our current upcoming events. This October we welcomed Heera, a student from St. Margaret’s School, Bushey into the team for hands-on work experience in our workshop. She writes about her experience with us. understand how it works and all its possible applications. During my week, I designed and manufactured a model of a trike (a tricycle without pedals) for children that have outgrown trike’s already on the market. Trikes are a way for those with a motor disability to stay out of a wheelchair and therefore keep their legs active, improve their core and back strength whilst simultaneously building their motor and balance skills. The process started with a few ideas which materialised into some sketches all completely distinguishable from one another, leading to a difficult decision process to decide which design would be the best fit the brief that I had been given. 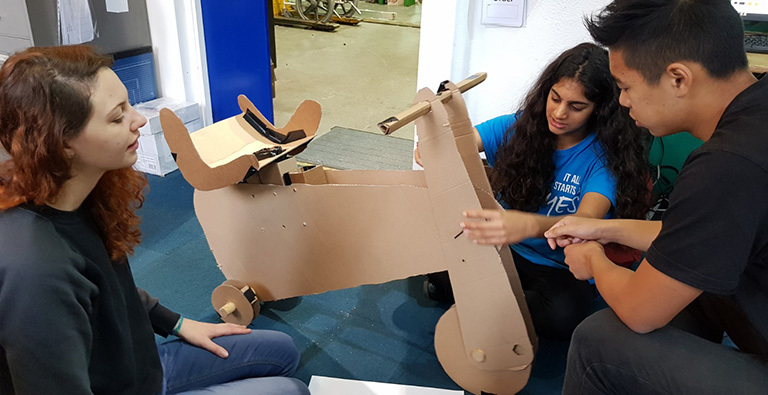 Once the decision was made I moved on to making the cardboard model of the trike which took me one day, I had designed it with an adjustable seat and handlebars in order to grow with the child. I later presented my trike to the team, where the idea and model was discussed in great detail making me feel as if my idea could become a starting point for future designs. This taught me the long process in which designers had to go through, and the resilience the DEMAND team have to keep going, facing one obstacle after the next. If you’re interested in finding out more about work experience placements with our team, get in touch.